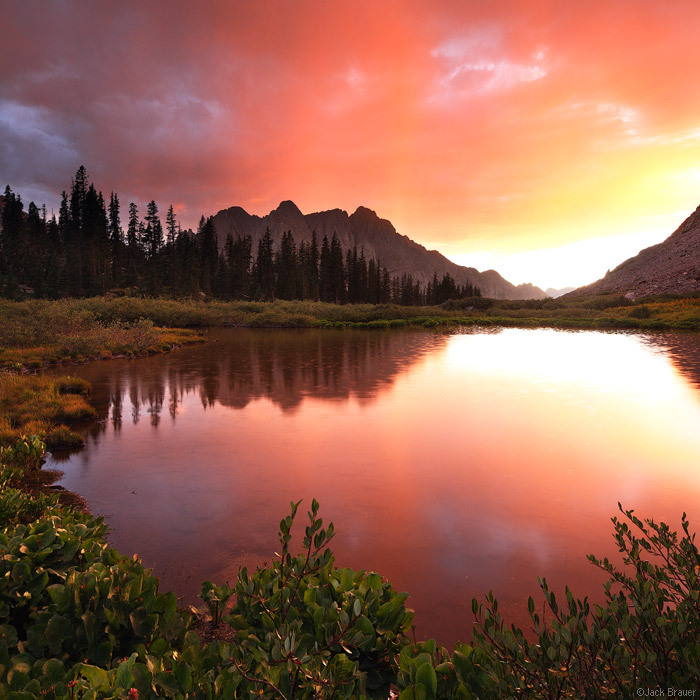 Rich amber sunrise light illuminates the basin below Jagged Mountain – Weminuche Wilderness, San Juan Mountains, Colorado. 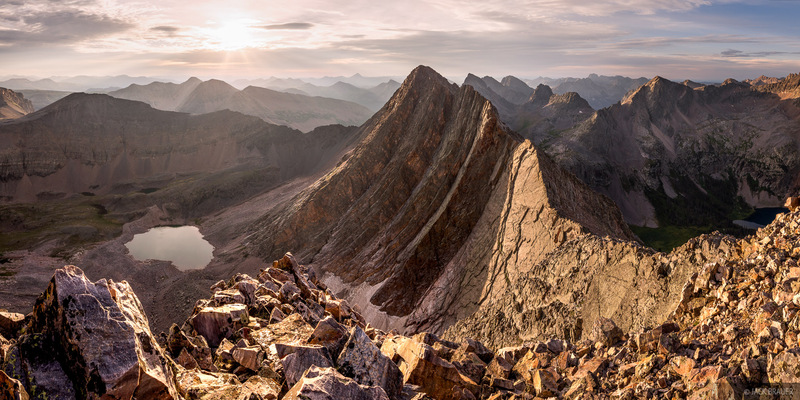 Posted in Backpacking & Trekking, Colorado and tagged Colorado, San Juans, Weminuche on August 21, 2018 by Jack Brauer. 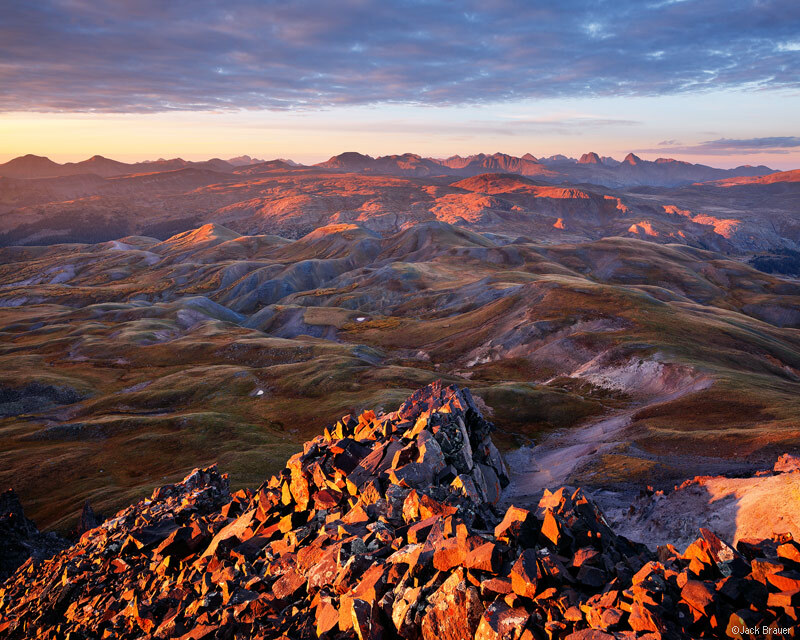 Sunrise as seen from the summit of West Trinity Peak in the Grenadier Range, San Juan Mountains, Colorado. 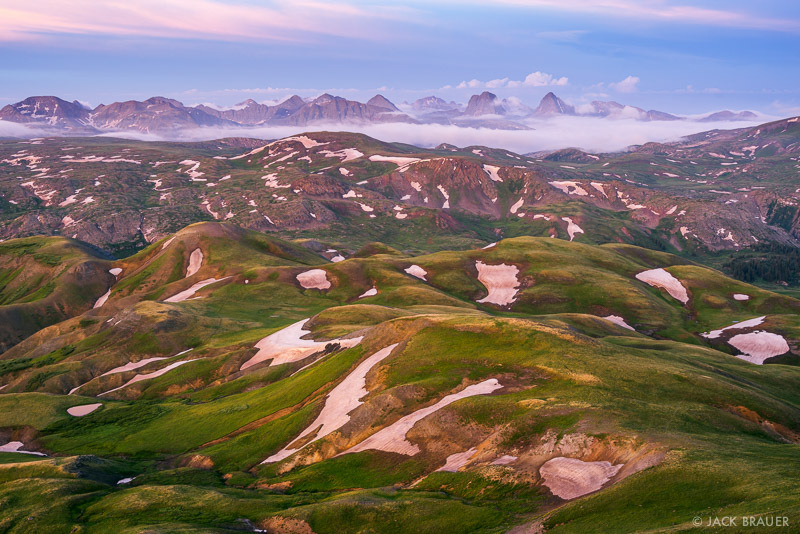 Posted in Backpacking & Trekking, Colorado and tagged Colorado, San Juans, Weminuche on July 26, 2018 by Jack Brauer. If you follow this blog, you might have noticed that I haven’t posted any new photos in over two months! Recently I have started getting emails from people wondering if I’m alright, or if I’ve given up on my website or photography in general. Well, let me assure you I’m still alive and kicking. The thing is, back at the end of December when I was longboarding a ditch in Albuquerque, I slipped on a slick spot where someone had poured paint and I badly sprained my wrist. I didn’t think much of it at the time and even did another run, but later on I realized something was seriously messed up. X-rays, an MRI, numerous doctor and therapy visits, three months, and thousands of dollars later, my wrist is still messed up but slowly healing. It wasn’t broken but it was pretty much as badly sprained as can be without needing surgery. Unfortunately it killed any prospect for backcountry adventures this winter/spring since I can’t hold a pole, rip skins, or use a shovel if I had to. Fortunately I’ve still been able to snowboard at the ski area, which has kept me sane enough. But since pretty much all my winter photography is done while hiking or splitboarding, I haven’t had hardly any new photos to share all winter. So… bummer. On a brighter note, I have lots of adventures in store for the summer! We will be homeless again all summer and will spend five weeks in Germany and Austria, followed by two months of backpacking around in Colorado, which I’m super excited about since we’ve been elsewhere for the last two summers. I still love Colorado the best! 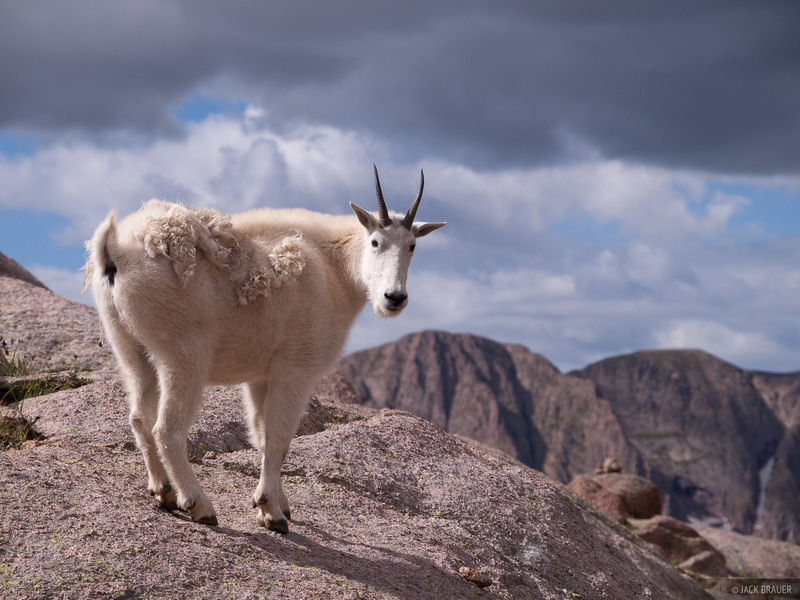 With that in mind, here are some new old photos I dug out of my archives from a solo trek I did through the Needle Mountains in the Weminuche Wilderness back in 2008. 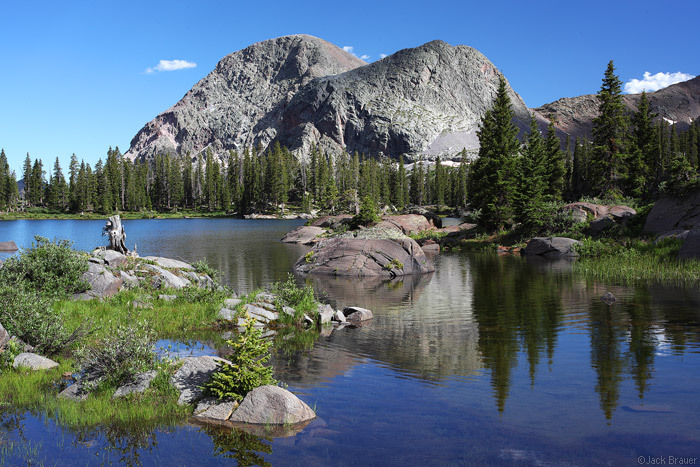 Yes, I am dreaming about summer and long to get back into the wilds of the Weminuche, my happy place! 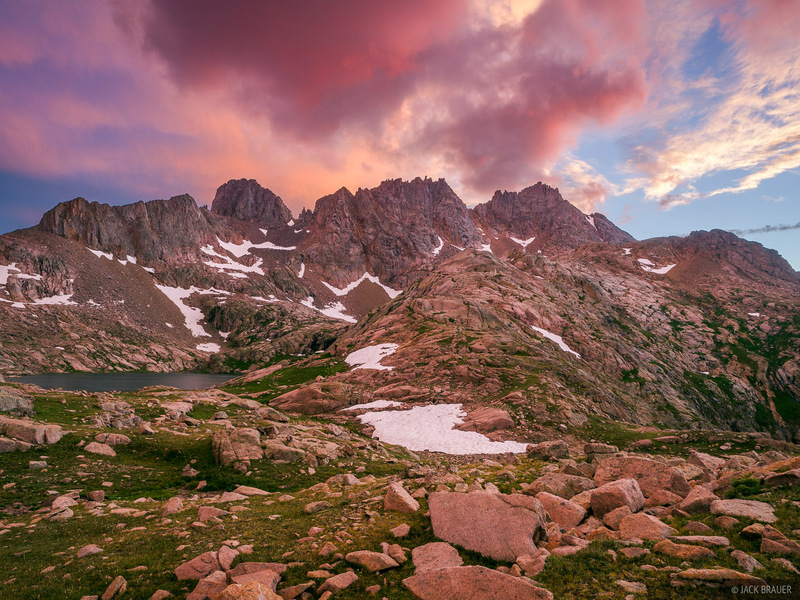 A colorful cotton candy Colorado sunset above Windom and Sunlight Peaks, two 14ers deep in the Weminuche Wilderness. 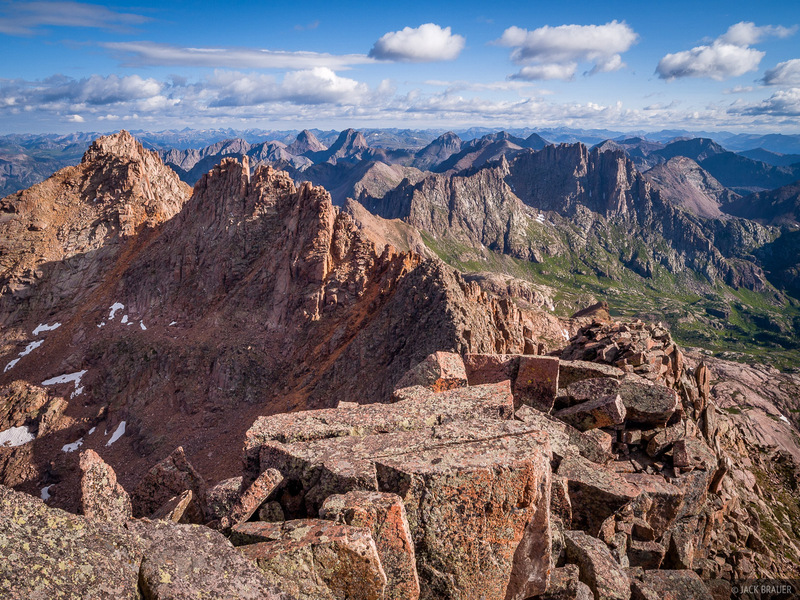 Looking north at the Needle Mountains and Grenadier Range from the summit of Windom Peak, 14,083 feet. 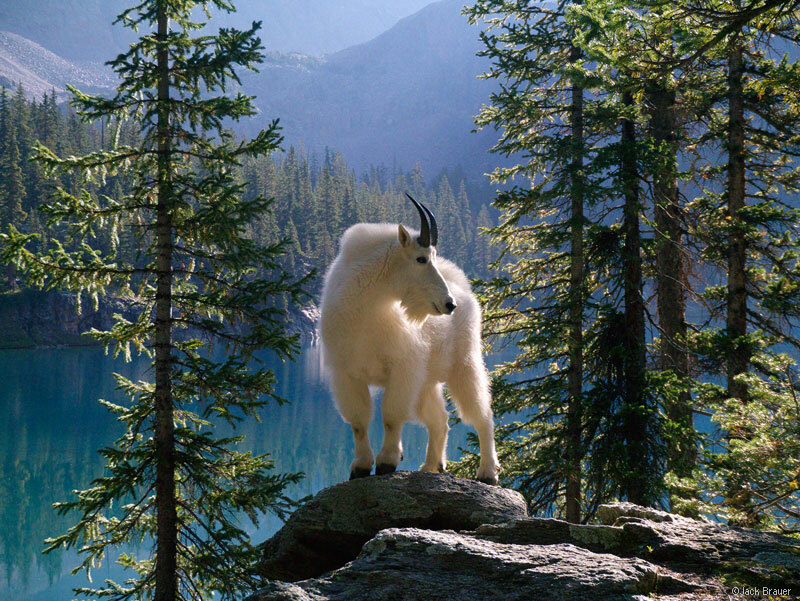 Mountain goat high above Chicago Basin in the Weminuche Wilderness. 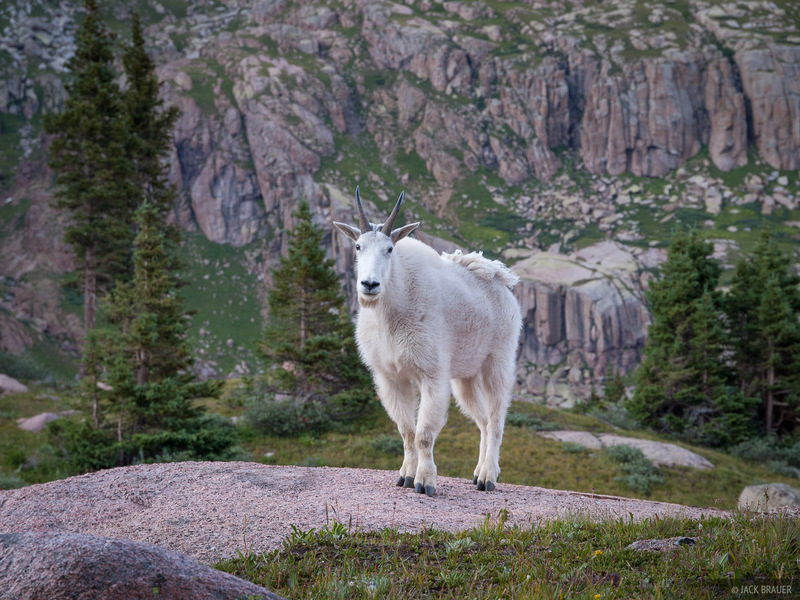 Check out all my photos from the Weminuche Wilderness here. 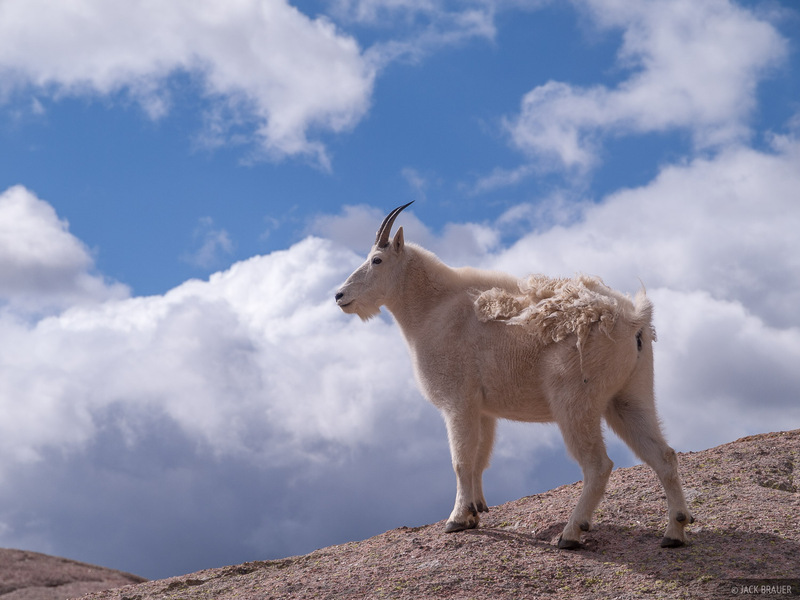 Posted in Backpacking & Trekking, Colorado, From the Vault and tagged Colorado, San Juans, Weminuche on March 25, 2017 March 27, 2017 by Jack Brauer. 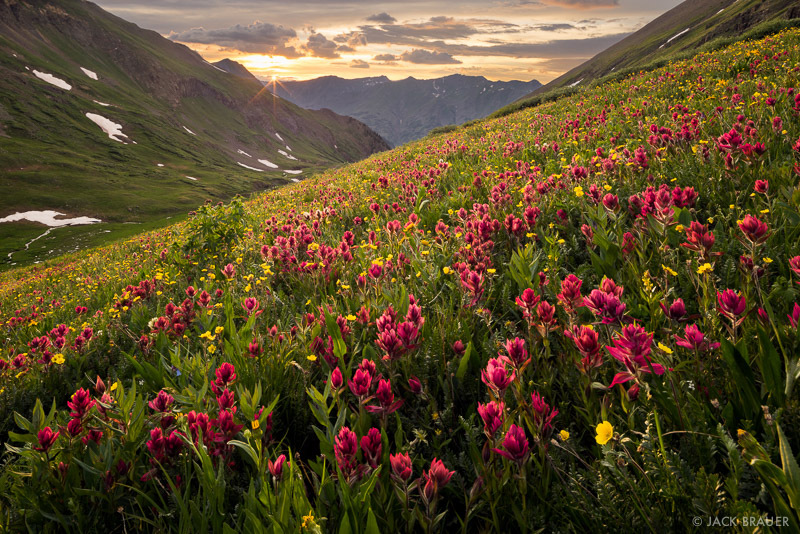 Indian Paintbrush wildflowers backlit by sunset in the San Juans, Colorado – July. The San Juans were treated to a fantastic sunset last night, followed by an even more spectacular sunrise. I was fortunate to squeeze in a quick trip to the mountains to catch the shows. 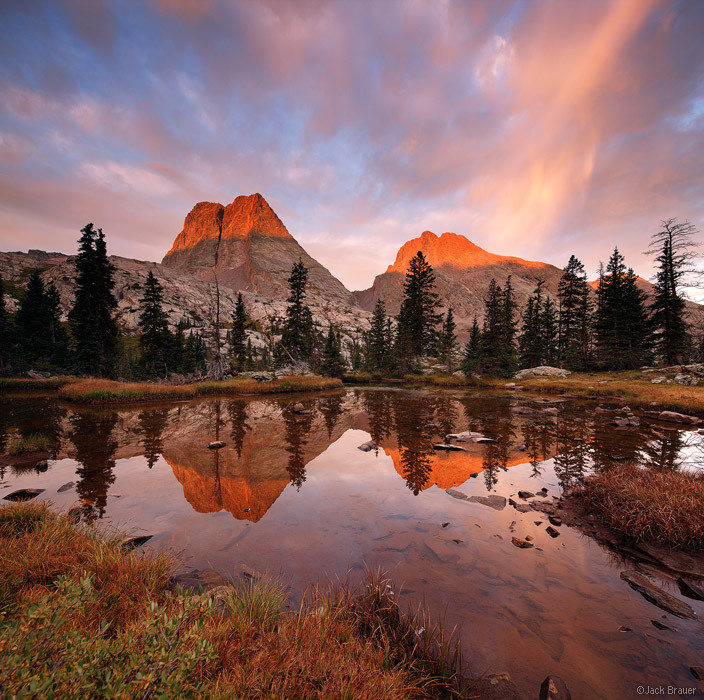 Sunrise light illuminates Vestal Peak (13,884 ft.) and Arrow Peak (13,803 ft.) in the Grenadier Range, Weminuche Wilderness, Colorado. 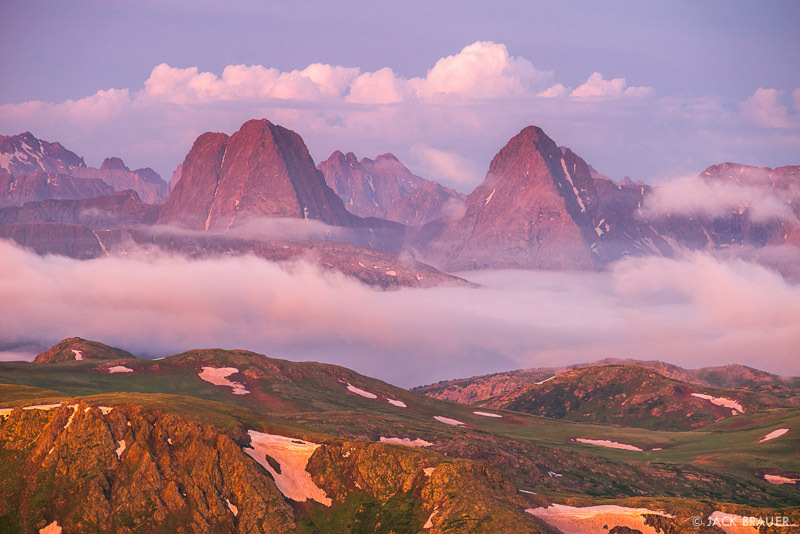 The rugged Grenadier Range rises above the rolling green tundra of the Weminuche Wilderness – July. 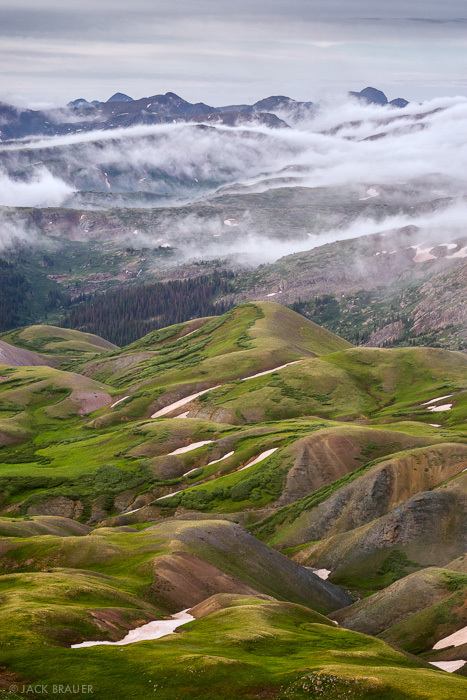 Misty clouds above the tundra headwaters of the Rio Grande, Weminuche Wilderness, Colorado. 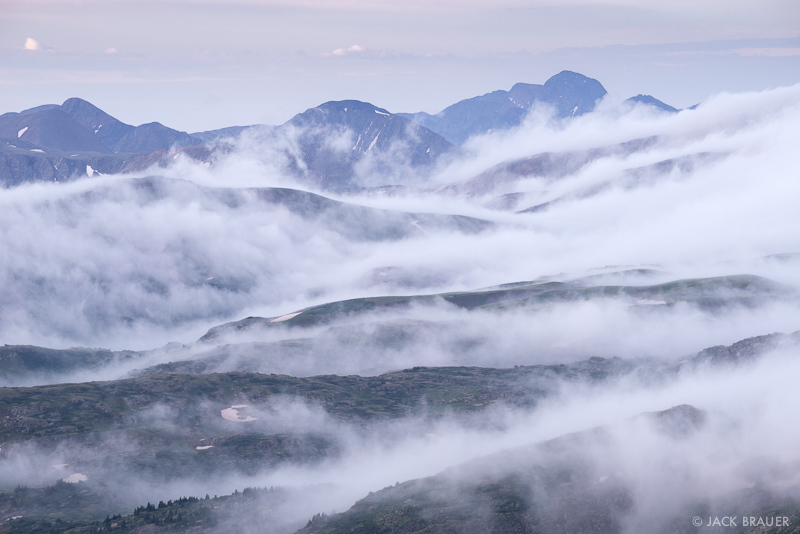 Misty clouds roll over the high tundra in the Weminuche Wilderness. 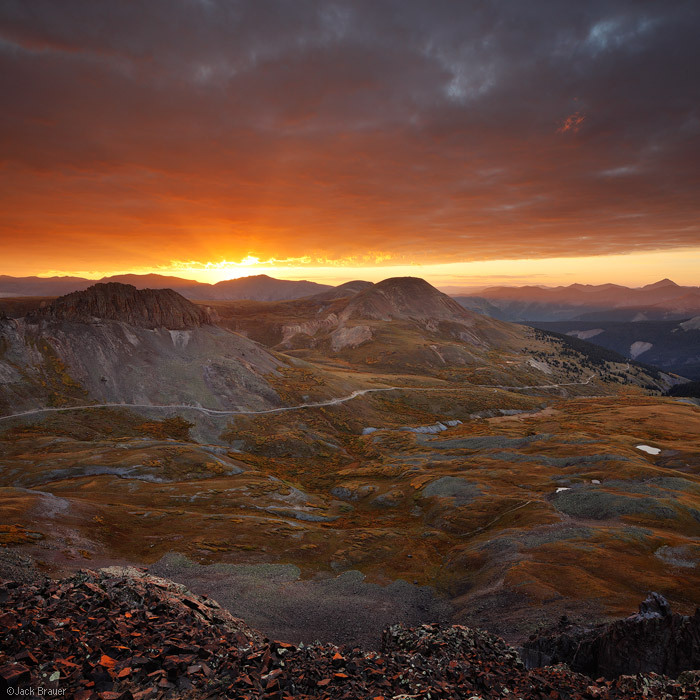 Posted in Colorado and tagged Colorado, San Juans, Weminuche on July 14, 2014 September 8, 2014 by Jack Brauer. 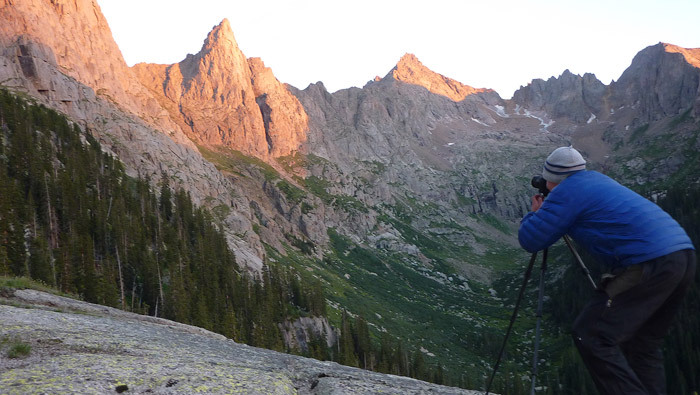 A brilliant sunset above Animas Mountain deep in the Weminuche Wilderness, August. 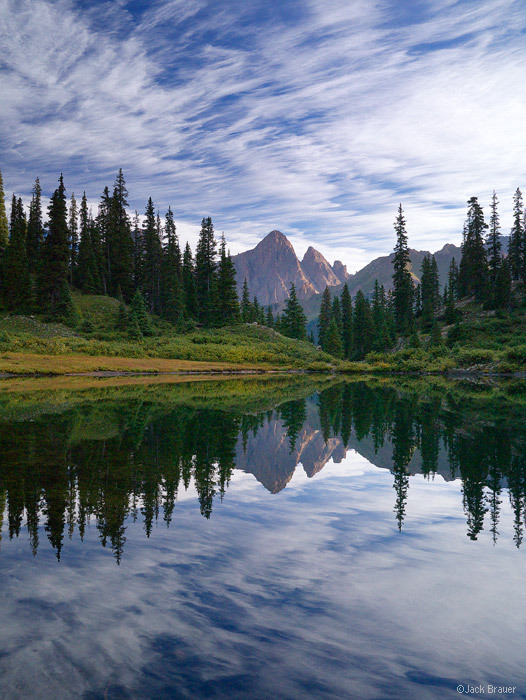 Posted in Backpacking & Trekking, Colorado and tagged Colorado, San Juans, Weminuche on August 29, 2011 November 25, 2013 by Jack Brauer. 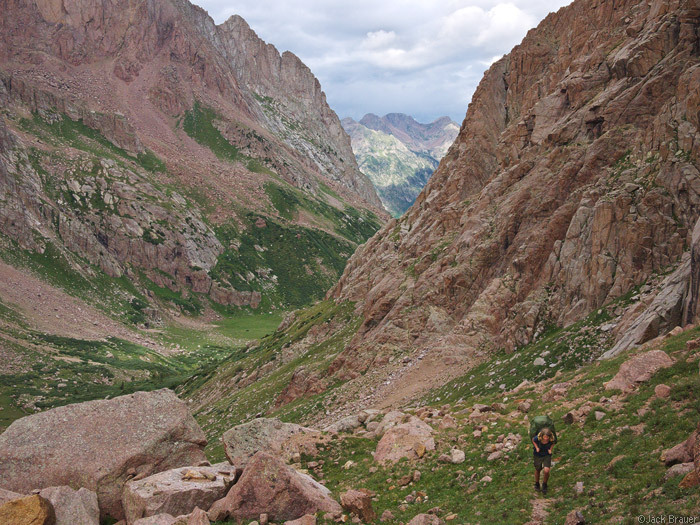 This last week we went on a 7-day backpacking trek through the Needle Mountains and Grenadier Range, the most rugged portions of the San Juan Mountains in southwest Colorado. Here are some snapshots from the trip. See my gallery of photos from the trip here. The route we took passes through four rugged valleys and over three high passes. 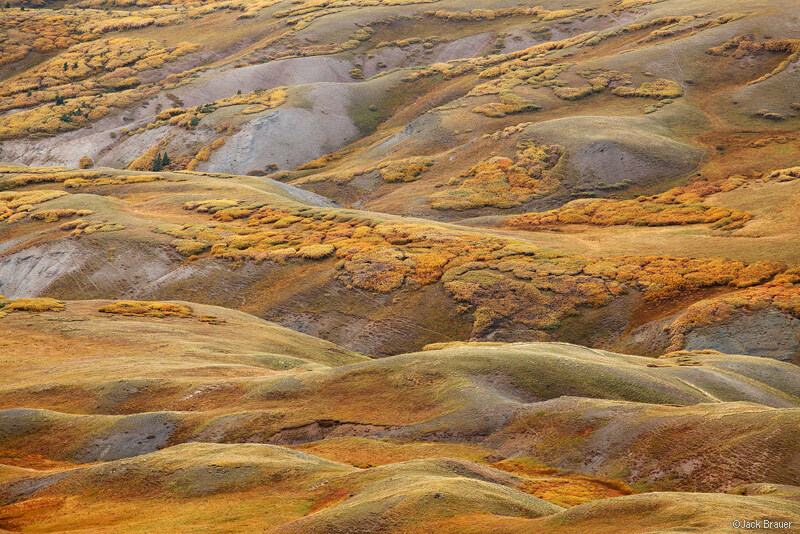 This is a strenuous wilderness route, seldom travelled, with slight unmarked trails for only about half the way. The rest of the way requires good map reading, terrain intuition, some bushwhacking, and lots of trial and error. This is the third time I’ve done a long high route in the Needle Mountains, and every time I get a bit lost at some point(s)! Here I am with the camera. 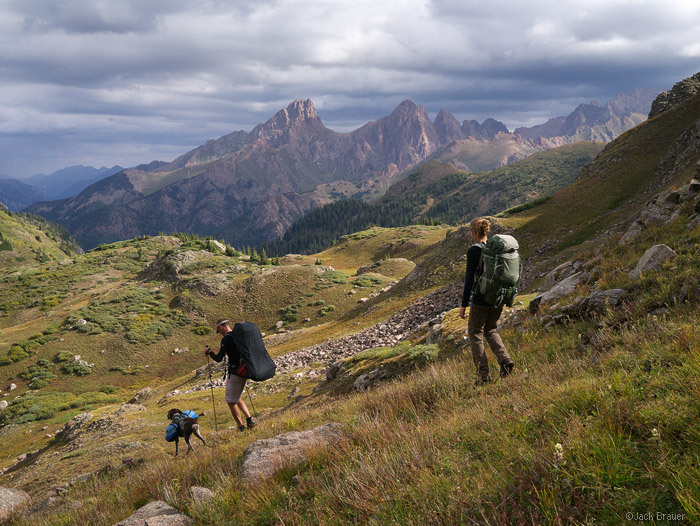 Posted in Backpacking & Trekking, Colorado and tagged Colorado, San Juans, Weminuche on August 16, 2010 November 25, 2013 by Jack Brauer. Last week I went on a five day backpacking loop hike in a remote area of the Weminuche Wilderness. Some highlights of the trip: hiking up an unknown knife-ridge in the pre-dawn darkness, enduring a lightning storm from a dubious treeline campsite near Rock Lake, being frightened by a possible (probably not) bigfoot footprint in the mud, seeing a group of horse riders dressed in full retro Daniel-Boone-style gear with muskets, and generally getting used to the monkishness of solo backpacking again. 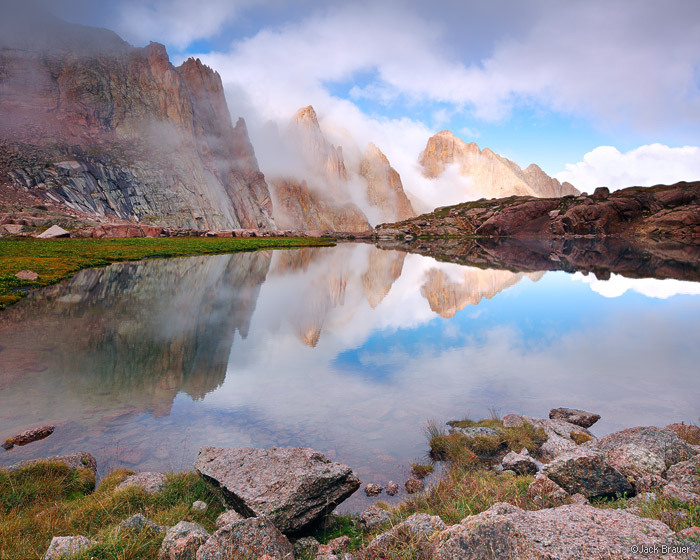 Posted in Backpacking & Trekking, Colorado and tagged Colorado, San Juans, Weminuche on July 11, 2010 November 25, 2013 by Jack Brauer.